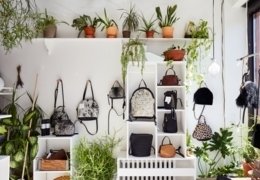 Roots is known for their gorgeous leather bags made locally in their Toronto factory. They not only offer a one-year warranty on any stitching repairs, but their leather bags also get better lookin’ as they age. Opt for a backpack with a little fringe detail or the basic Student Pack. They have other sweet styles as well, like the flap-belted Raiders Pack or the exterior-pocketed Papa Alex. Their briefcases and messenger bags are also perfect for school and work. 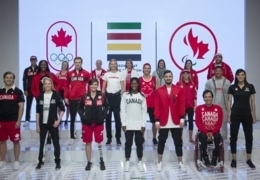 Roots is known for its Canadian heritage wear and, just in time for the Olympics, they’ve designed a men’s and women’s Canada collection. For a sporty, feminine look, opt for the Blazon Dress, a Canadian flag-printed tank dress that would look super chic and on-trend styled with a Western bandana scarf and white tennis sneakers. Also part of the collection: Canadian flag T-shirts and Roots logo and “Canada” printed tees, tanks and baseball caps. They also have Canadian-themed hoodies and baseball quarter-length T-shirts – perfect for cool summer nights.